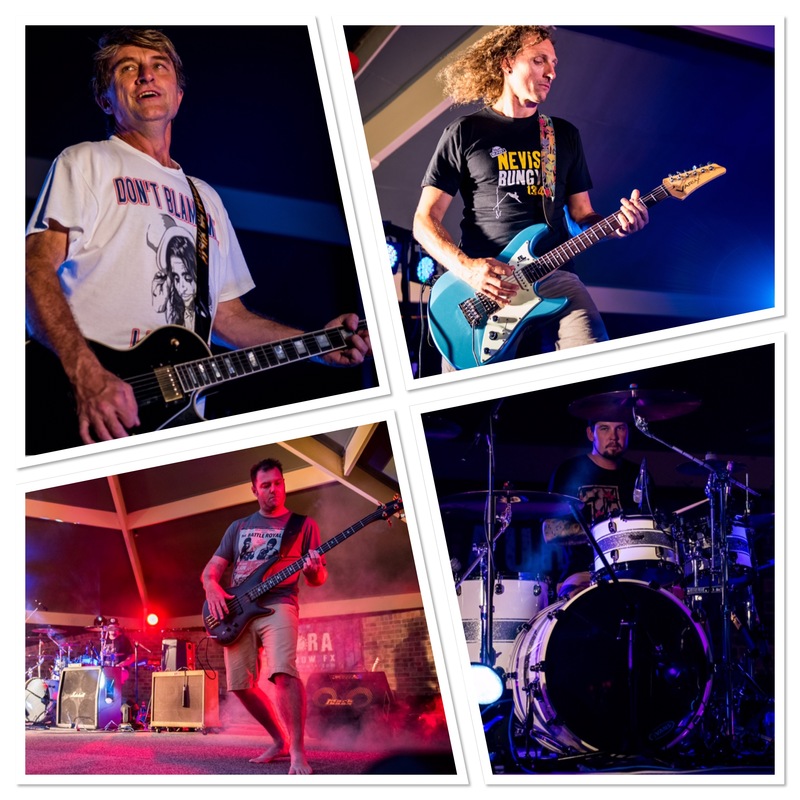 @ The Bar are a high energy four piece rock band from the Manning Valley. Their engaging performances and stage presence is infectious. The band members varied individual influences are well represented in their live cover sets, ranging from The Beatles to Bruno Mars, Fleetwood Mac to Faith No More & The Kinks to the Kings Of Leon. With over 40 years combined experience in bands, @ The Bar have moulded themselves into an extremely versatile band, featuring Peter Bull on vocals, guitar & keyboard, Chris Tippett on guitar & vocals, Neil Elford on bass & Matt Bevitt on drums. @ The Bar have formed a strong musical understanding and uniqueness in their sound. An ever expanding song catalogue means @ The Bar can cater for your venue – @ your bar, @ your wedding or @ your party.